From the scientist that discovered the secret to replenishing our NAD+ supply. Charles Brenner, PhD is the world's foremost authority on NAD+. 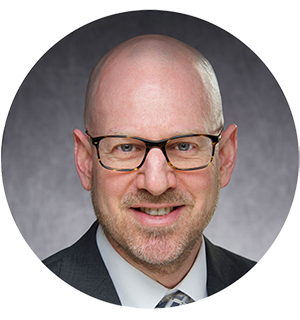 He is Head of Biochemistry and Professor of Internal Medicine at the University of Iowa, and co-founder of ProHealthspan, LLC. Can we sustain NAD+ levels over time? In order to find the answer, scientists began researching the few compounds that your body can convert into NAD+. They are called NAD+ precursors, and for years they believed that there were only two vitamin precursors to NAD+ in existence, and both had issues of inefficiency and/or adverse side effects. But in 2004, Dr. Brenner and his team at Dartmouth College made an incredible discovery. There is indeed a third vitamin precursor to NAD+ and it has proven to be both highly efficient and safe. It is called Nicotinamide Riboside (NR) and it has ignited the scientific community around aging, spawning hundreds of recent studies. Now it is finally available to you in the form of a daily supplement called TRU NIAGEN®. Nicotinamide Riboside (NR): Discovered by Dr. Brenner to be the most efficient precursor to NAD+. It is used by all cells to create NAD+. ProHealthspan is the official partner of ChromaDex, Inc.
Chromadex is an innovative natural products company that discovers, acquires, develops and commercializes proprietary-based ingredient technologies. ChromaDex has licensed the key enabling NR technologies from Dartmouth College and other institutions, and is the worldwide patent-holder and sole manufacturer of NIAGEN®. NIAGEN® is a registered trademark of ChromaDex, Inc. Receive special offers and get notified when new studies are published. What exactly is NIAGEN® ? NIAGEN® is the first and only commercially available, patented form of nicotinamide riboside. Each capsule of TRU NIAGEN® contains 125 milligrams of NIAGEN®. How does TRU NIAGEN® work? The NIAGEN® in TRU NIAGEN® is proven to boost levels of NAD+, a coenzyme found in all living cells*. NAD+ plays a key role in cell function within the “powerhouses of the cell”, the mitochondria. Mitochondria produce energy for our cells, and play an important role in the aging process. A deficiency of NAD+ is one of the main causes of cellular aging and breakdown. Find out more. here. What might TRU NIAGEN® do for me? No one can predict your individual results, but the evidence behind NIAGEN® is strong and exciting. Research has shown that NIAGEN® can improve cellular health, energy and muscle endurance, help protect the heart and nerves, protect against weight gain on a high-fat diet, and much more. There are also many anecdotal (individual) reports of better sleep, improved skin appearance, and stronger hair and nails. * For more on the clinical research, click. here. How do I know that Niagen® is safe? Who is behind TRU NIAGEN®? 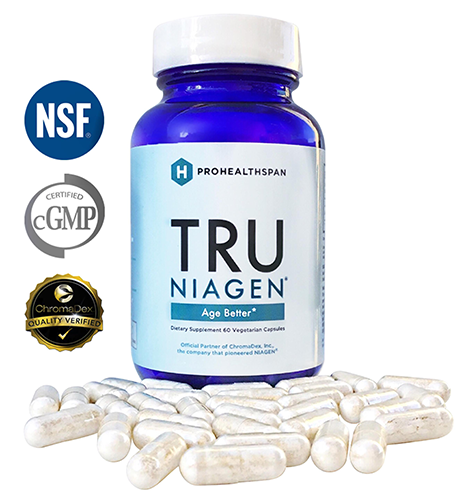 TRU NIAGEN® comes to you from Healthspan Research, LLC, a California-based supplements company that is the Official Partner of ChromaDex, Inc., another California firm. ChromaDex pioneered NIAGEN®, and holds the worldwide patents on this breakthrough product. Read more about Healthspan Research. Is “healthspan” another word for “lifespan”? No—lifespan is simply the number of years you live, whatever the quality of your health. The number of years you enjoy healthy living is your healthspan. Your TRU NIAGEN® purchase is covered by a 30-day, money-back guarantee. Can I get a discount for buying multiple bottles? Absolutely. We encourage buying more than one bottle, as it can take several weeks to begin feeling the effects of healthier cells. To see how buying in bulk helps you save, click here . Everyone is different and responds to TRU NIAGEN® in their own unique ways. Some people feel greater energy, deeper sleep and more mental alertness in just a few days. For others, noticing a difference in overall vitality and wellness can take longer. Even if you don’t see changes right away, know that TRU NIAGEN® is working at the cellular level—at the very foundation of life—to help you enjoy better health and well being. What kind of research has been done on NIAGEN®? There have been more than 100 scientific studies on NIAGEN® (NR) and NAD+ from some of the most influential and prestigious scientists and institutions in the world. 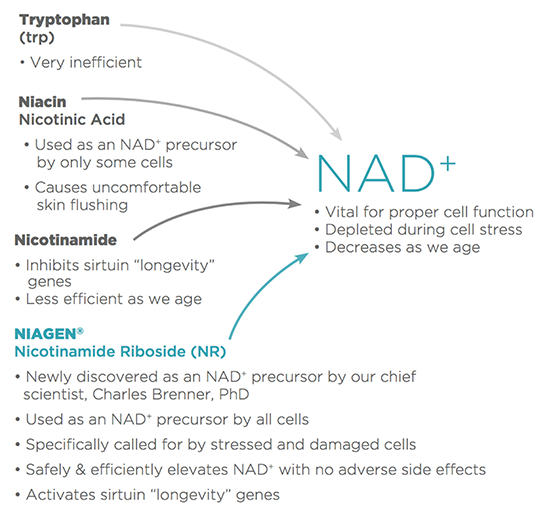 NIAGEN® (NR) has been clinically shown to increase NAD+ levels in humans, and has been shown to have profound effects in model systems in the categories of anti-aging, energy, heart health, brain function, sleep and weight loss. Researchers at Harvard, MIT, Dartmouth, Cornell, Iowa and others have been publishing, and continue to publish NIAGEN® (NR) related studies almost monthly. For a closer look, click here.